It has always been fundamental in the Japanese traditions of swordsmanship that before a student can understand any of the deeper meanings he must first spend several years in training his body. While this is undoubtedly true and its benefit cannot be denied, the early years are also those when the student is at a peak of enthusiasm and most susceptible to outside influences, both sound and unsound. This article was first written before the days of the Internet, now ‘all secrets’ are readily available and everyone can claim expertise! Apparently, anyone can watch the screen and claim mastery – but without the background of proper training this is completely pointless. For many Japanese students coming to these traditional arts1 as children or young adults, there is often a strong family and cultural link which will deeply influence them and assist them to follow the strict long-established traditions of their forefathers almost without thinking about it. They will accept the discipline and the long training as a matter of course. They have centuries of the living tradition to bolster their actions. 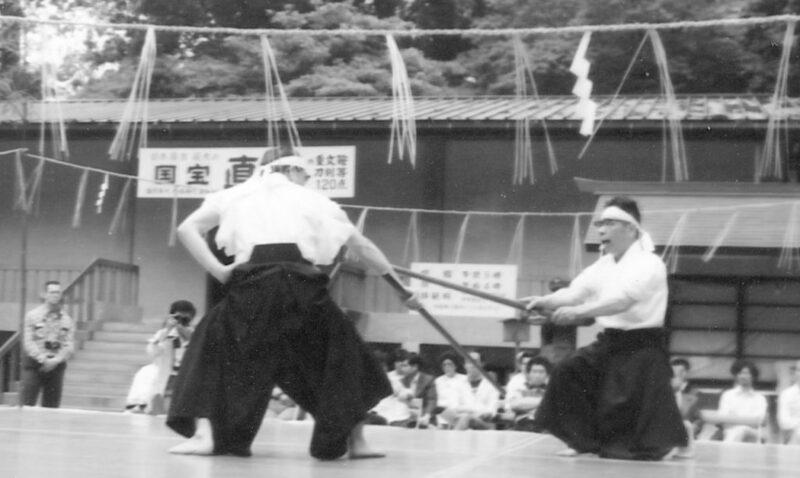 On the other hand, many now coming from non-warrior traditions, may never realise that kobudo represents the real legacy and they will only see the years of shinai training as a goal in itself, even though they live in Japan and know very well that Kendo has developed from a strong and living classical tradition. It is unfortunately natural that the majority should only see Kendo in terms of the use of the bamboo shinai and little more. It is more difficult to understand why so many Japanese Iai students never make the effort to seek out excellent classical styles but are content to practise the mundane invented forms. The picture becomes much more complicated for students outside the Japanese cultural influences. The formative years are still just as important; in this case there is no natural background but there are just as many bad influences that will subvert all but the single-minded away from any hope of finding the true path. It is important that all students, whatever their experience, should do their best to reach some sort of understanding of Japanese culture. They should be encouraged to read widely and become reasonably informed. This will, at least, help them. Despite the fact that many will go the way of most students and never really have any hope of eventually reaching real understanding, the proper training , even over a few years, will give them all very valuable gifts in physical fitness, character, determination to succeed, and self-awareness that mere exercising alone cannot achieve. These sword traditions have a very great deal to offer – throughout life, male or female. Through the background of proper Kendo through the martial arts, whether deriving from olden times or in their modern forms, have an extraordinarily long history and while experts and historians may argue about the relative dating of the vast number of different traditions2 – here, we are concerned only with those originating in Japan, itself – most experts are agreed that from around the first half of the Sixteenth century we are on reasonably firmer ground when we study the many documented sources. Just after the end of WW1, Yamada Jirokichi-sensei, then headmaster of the Jiki Shinkage-ryu, firmly believed in the importance of examining the known facts about the lives and actions of many of the founders of these classical traditions. For the Western student I think such information should be readily available wherever possible since it brings immediate face to face contact with the world of the bushi (warrior) that no dry history book can ever do; it helps to create very real images of life in those distant days in an entirely foreign culture, now practically gone forever. This legacy can be partially understood through orthodox traditional Kendo or Iai, properly taught. At least the Western student is doing his or her best to learn through handling the Japanese sword great skill, and in this is no different from his or her Japanese counterpart. By pursuing his new found interest in a traditionally conducted dojo and being encouraged to broaden this interest, he or she – yes, Kendo and Iai are entirely suited to both sexes –will be carrying out the important precept that practise and learning should go hand in hand, known in Japanese as bun-bu-fuki. With good fortune the student may succeed but he must be careful not to form any concrete conclusions until the initial period of physical training begins to mature and understanding becomes intuitive. This philosophy is stressed in many classically affiliated Budo dojo, especially those like the famous Mito Tobukan north of Tokyo. The ‘Mito Gaku’3 expressly states that ‘the motto of the dojo that classical Kendo training and education go together; both body and mind must be developed equally. A strong body with a weak mind is not good, so is the opposite. We must unite Bun and Bu within ourselves.’ The purpose of education is in order to succeed in the highly competitive modern society; to develop good character alongside broad based liberal studies, strong moral values, self-discipline and sound physical health; to me this is where the true legacy of Kendo lies. This may have originated from Japan but there is nothing here that smacks of religious dogma; just reasonable common sense coupled with intelligent balanced physical exercise for all ages. When we approach the study of Kendo the majority of people would think we are having to come to terms with something completely Japanese, a subject totally alien to our own culture; but this is actually far from the truth. Although Kendo and the Art of Drawing Sword (Iai-jutsu) and some other allied systems, are Japanese in the expression and outward aspect, they are nonetheless based on sound universal moral philosophies. It is surprising to find that the founder of the modern educational system in Japan nearly a hundred-and-fifty years ago, Kawai Shinsui, and his followers, strongly advocated the introduction of the best principles of the English Public School system by the Meiji Government. Kawai-sensei could see the very close links between Kendo spirit and the best of the English system. Another powerful advocate of ‘proper’ Kendo was Takano Shosei-Hanshi, 9th dan, whose dojo was at Kamakura, south-west of Tokyo. 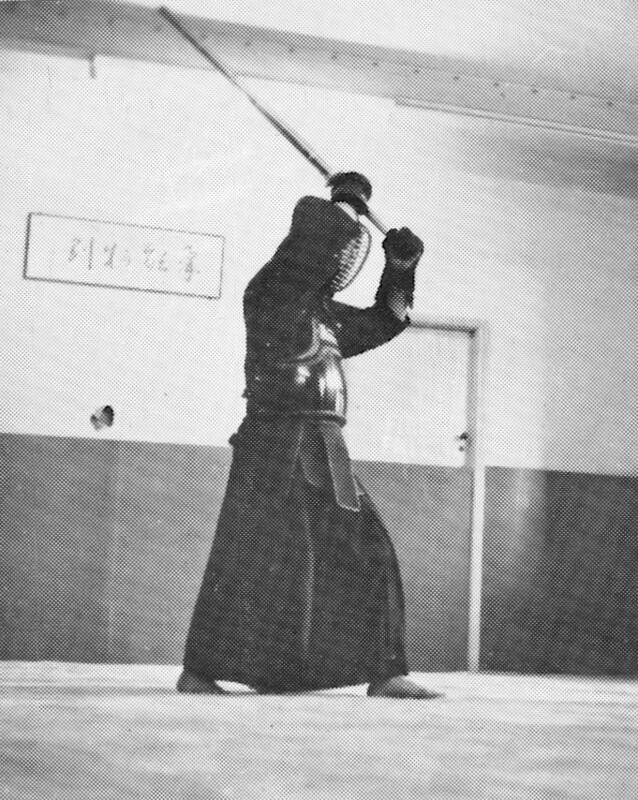 This master was vehemently opposed to the headlong drive to turn Kendo into a mere sport. He clearly saw that the real meaning of Kendo could be easily understood internationally and was not just something peculiarly Japanese. All responsible masters are agreed that the truth cannot be explained without proceeding through the proper stages. 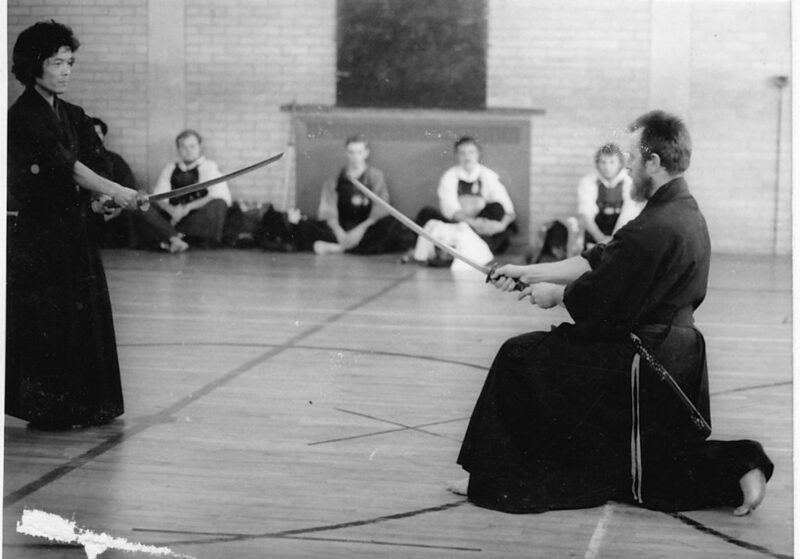 The underlying truth of Kendo to cannot be understood if at first the techniques are solely taught as sport. If proper Budo is to take root then the teachers have a fundamental responsibility to guide their students along the right path and not to permit side-tracking into the sterile, but financially rewarding cul-de-sac of sport (or plain self-seeking, fancied prestige and boastful practice). Bun-bu-fuki may be considered important in Japan but here in the West, despite the different cultural backgrounds, a similar approach is vital if the proper Budo systems are to be established meaningfully and understood. A mere handful of the early students survive here from the 1960s or ’70s who have more than a hazy idea of the true essence of the legacy and are still active, most of the others are wholly sports-oriented. Unfortunately, this criticism can be applied in Japan, too. The present headlong drive to representing Kendo only in terms of competition demonstrates this serious lack of understanding. I am not denying that a part of Kendo makes a very good sport but it results, if balance and care are not applied, in many students never achieving any of the real benefits that lie behind the traditional teaching. In a tournament ‘ladder’ many will take part but only one will be the ultimate winner. Are the rest not important, too? They try their best but are rarely given any credit. The strong and youthful succeed but they can only win for a short period- Kendo is training for a lifetime. Kendo represents self discipline, the determination to persist years after the ‘glory’ days of competition have passed; it gives mental and physical fitness from early youth to old age – and it is very rewarding. The number of these traditions in 1877 have been put at more than 3500 in Japan. Less than 350, a tenth, still exist today. Traditions of the Mito Tobukan and Teachings of OzawaTakeshi’ – Paper by Jeffrey Dann, Ph.D, 1975. In this study the principlesof the Tobukan are clearly set out. These are of real interest since the aim of Ozawa-sensei is the moral guidance of children in Kendo towards responsible adulthood.